We have a new collection available on Frecklebox. We designed it with tweens in mind. Sometimes tweens are like crows, they just want something shiny and colorful! We tried to pattern our design collection off of the old PeeChee folders that we used to carry around in the olden days. Because they had zero personality, us students had to go crazy and doodle and personalize them ourselves. Now a days you can buy folders with all sort of designs on them. But ordering personalized folders is pretty cool. 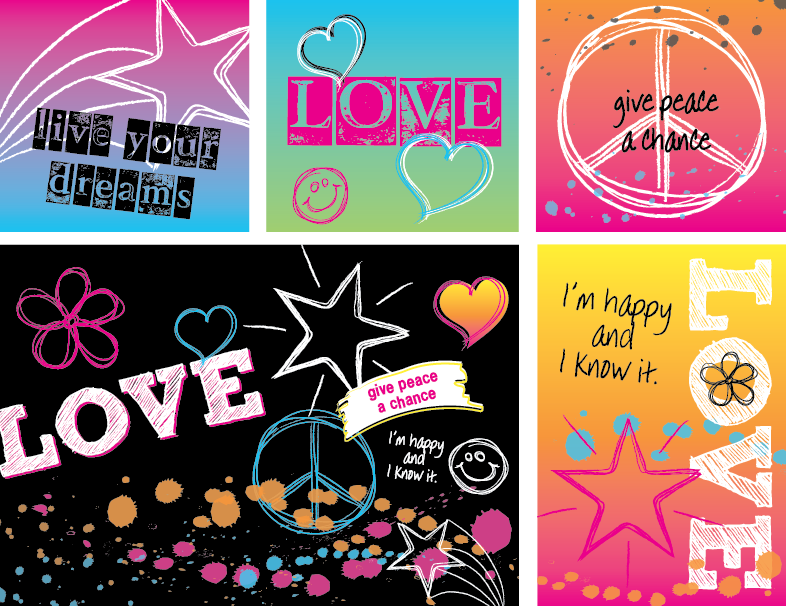 Hope your kids like the designs and you get a warm fuzzy feeling as we bring you back to your junior high days.